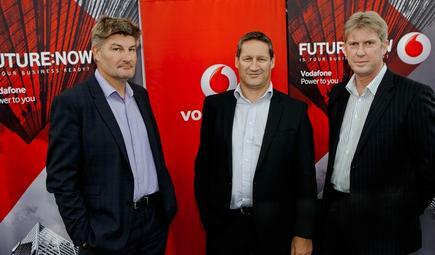 Tony Baird (left) is the new CTO at Vodafone New Zealand, taking over from Sandra Pickering . Before this, Baird was head of networks at Vodafone. He joined Vodafone four years ago from rural broadband provider Farmside, where he was CEO for three years. Kahl Betham takes on the newly established New Zealand GM post at GPS fleet management and business intelligence provider Smartrak. 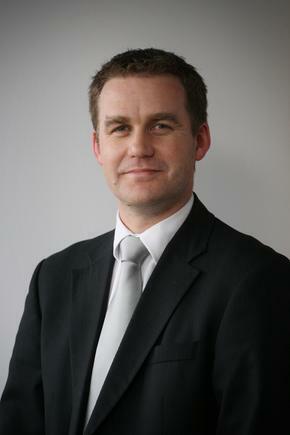 He came from Gallagher Security, where he led the global product management and business analyst teams. Smartrak has been recognised by four prestigious awards in the past four years, including the Deloitte Asia Pacific Fast 500 in 2010 and 2011, and the Deloitte Fast 50 award for the fastest-growing technology company in the North Island in 2010. Eight years following its inception, the company has over 400 customers, including more than half the country's councils, and is looking at revenue growth of 250 percent in the next two years. SimplHealth hosted three female high school students during the recent Shadow IT day. The program provides an opportunity for high school female students to ‘shadow’ technology professionals for a day and get a better understanding of the workplace and career choices available in IT. The students who visited SimplHealth were: Trinity Uere (Sir Edmund Hillary Collegiate); Charlie Hamilton (Howick College); and Jasmine Warner (Howick College). SimplHealth staff who were their mentors for the day were Sharmin Mathai, project manager; Anu Chitti, business analyst /test analyst; Michelle Reading, test analyst; Kate Ronquillo, service desk specialist/developer; and April Xu, intermediate developer. The Kiwibank Home Hunter app bagged the Innovation in Financial and Professional Services Award at the New Zealand Innovators Awards this week. A collaboration between Sush Mobile, Kiwibank and Springload, the app was developed to create an extraordinary home-buying experience, and a simple and smooth home loan application process for Kiwibank current and potential customers. The app is fully integrated into Kiwibank’s back-end systems, providing efficiency for the bank as well as a streamlined experience for the user.